TBR is proud to introduce the Two Brothers Tarmac Exhaust System designed exclusively for the lightweight sportbike segment. The Tarmac Exhaust sets itself apart in the Two Brothers Exhaust line by way of its modern trapezoidal shape that runs the entire length of the slip-on. This shape is not only aggressive looking but also cuts down on overall weight and increases lean angle clearance. 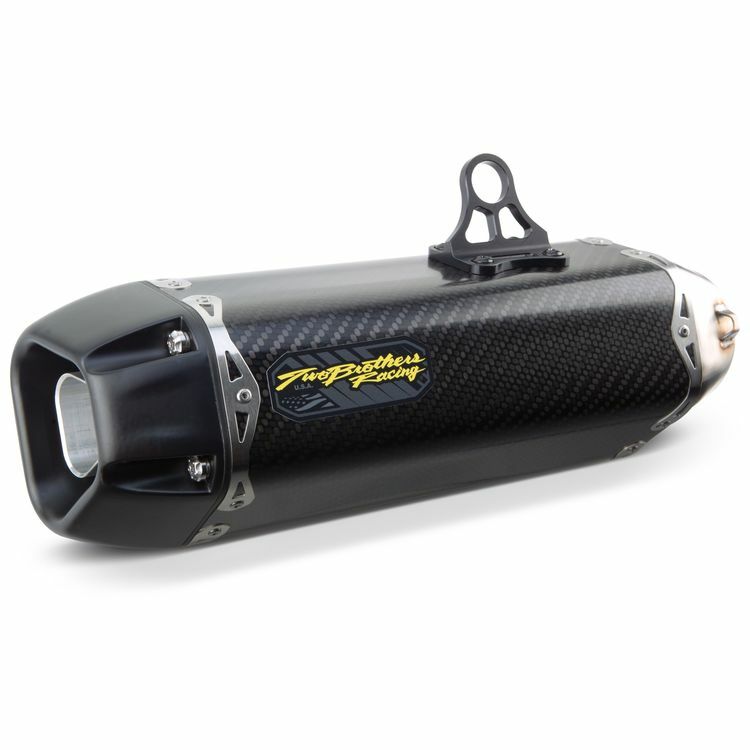 The muffler body itself features a compilation of race-proven materials and concepts including, teflon coated magnesium end-cap, 33 million modulus carbon fiber, tough 5-32 rivets and CNC-machined stainless inlet and outlet just to name a few. Within the muffler body lies TBR’s spiral-wound perforated core that produces a burly and thunderous exhaust note. The second half of the Tarmac Exhaust Systems features headers and connecting pipes made of .035" thin wall #304 chromium-nickel stainless steel. This steel was the only choice in TBR’s eyes that was suited for this high performance exhaust system. It features high corrosion resistant, low heat conductivity and an exceptional finish. To aid in exhaust flow all TBR’s exhaust pipes feature a stepped design which creates a vacuum effect that forces your motorcycle’s hot exhaust gases out at a highly efficient rate. All of this combined will drastically reduces the over weight of your motorcycle while increasing power output and throttle response.